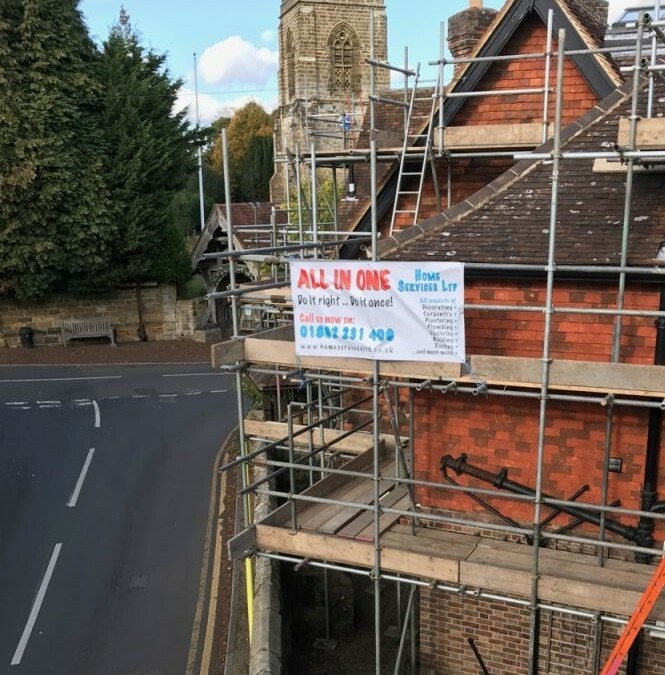 We have got a fantastic job doing the exterior decorating on this fabulous old property. 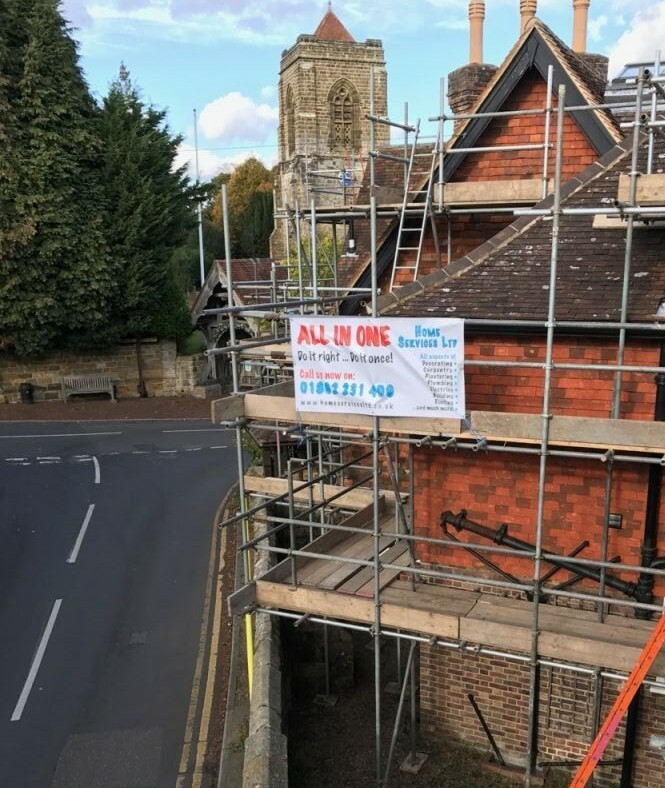 A lot of scaffolding is needed and a great opportunity to put up our new banner whilst our team are busy at work. If you need to have any work done please do get in touch!